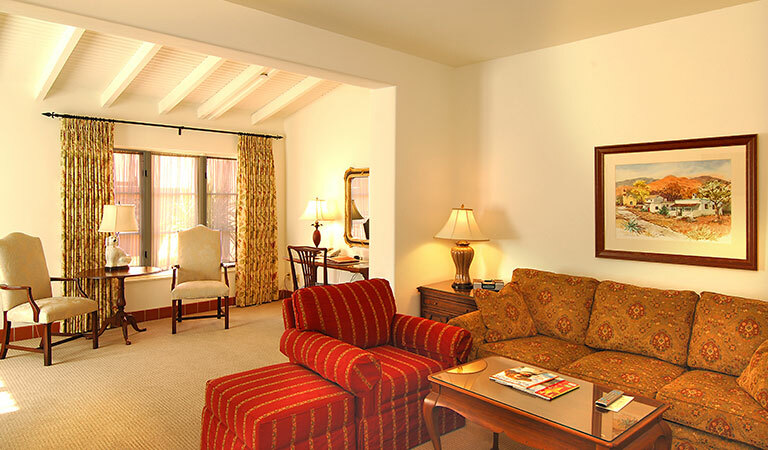 Elegant and inviting, our 92 beautifully appointed, casita-style rooms and suites reflect a simple, yet sophisticated Southwest aesthetic. Immerse yourself in the comfort of plush bedding, the charm of antique furnishings, and the convenience of modern amenities, all enhanced by stunning views of our sprawling gardens. Tech features like complimentary Wi-Fi, iHome clock radios, and flat-screen TVs with DVD players allow you to stay connected, while furnished patios, private balconies, and impressive garden views invite you to reconnect with the serene desert landscape. Discover your personal oasis in our inviting boutique accommodations, named as one of the "Top 500 Hotels in the World" by Travel & Leisure magazine. Please contact us for any special requests or to arrange ADA accommodations. 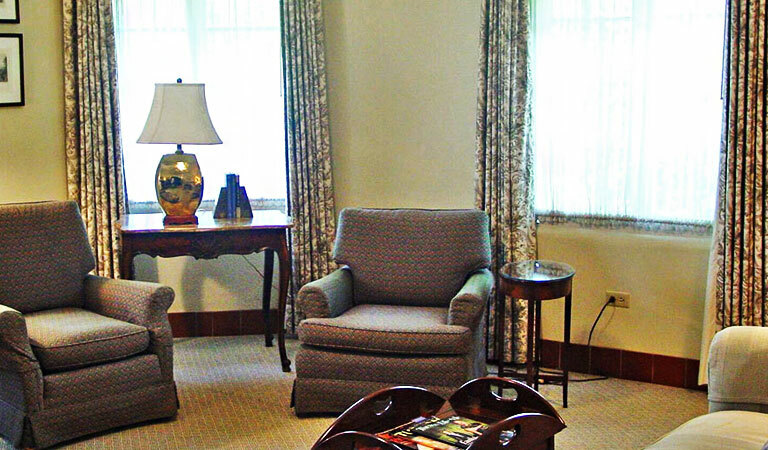 We want to make your stay as comfortable as possible. Stay comfortably in this elegantly outfitted room featuring a king bed, crisp linens, cozy bathrobes, antique accents, as well as a handsome writing desk and serene views of our lush gardens. 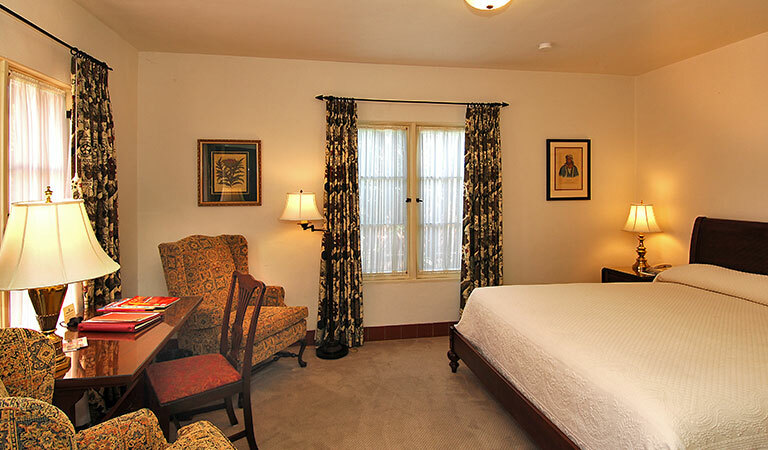 Enjoy a relaxing stay in this spacious room featuring a plush king bed, charming accent chairs, cozy bathrobes, and French doors that open to a private furnished patio. Spread out in this spacious suite accommodation featuring one king bed, along with inviting, sunlit sitting areas outfitted with chic antique decor and a furnished private patio. 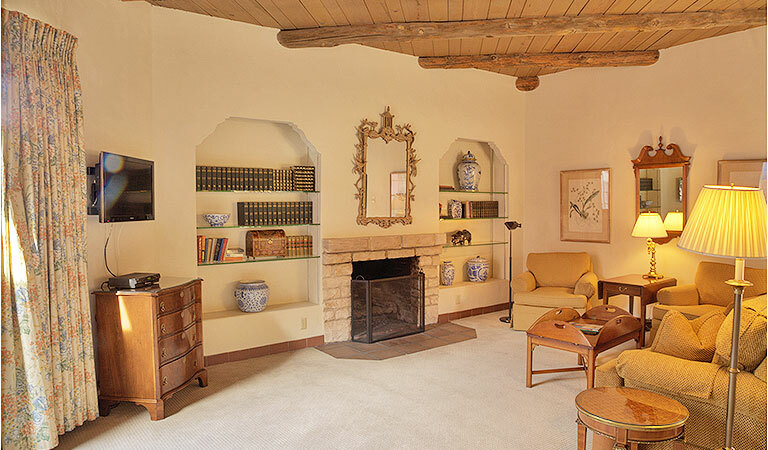 Make yourself at home in this suite with a king bedroom, a queen-sized sofa bed, and cozy sitting room while admiring beautiful garden views and elegant Southwestern decor. 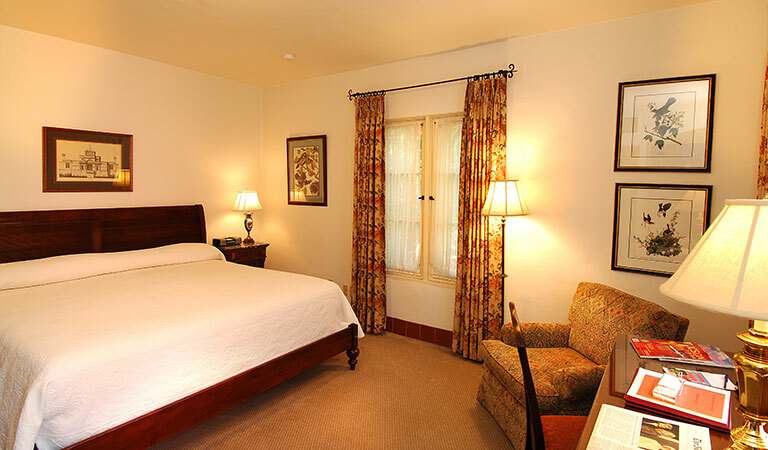 Beautiful antique furnishings, a king bed and a queen sofa bed, and a spacious sitting room await in this charming suite with a private patio or balcony from which to revel in the Arizona sunshine. 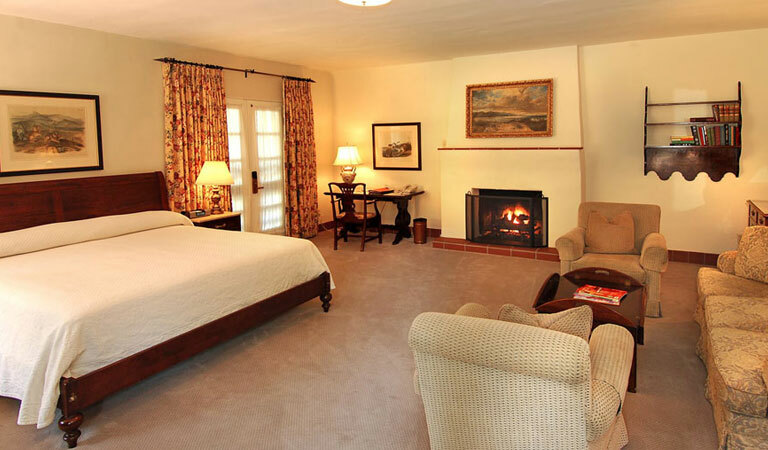 Enjoy all of the comforts of home in our elegant two-bedroom, two-bath house that features a full kitchen, a fireplace, and two private gardens, making it perfect for vacationing families and groups.